In competitive world all of us running after good grades to achieve in examination that can be a stressful experience with the rising pressures of scoring marks. Students are judged on the basis of their performance in examinations which adds to the pressure. 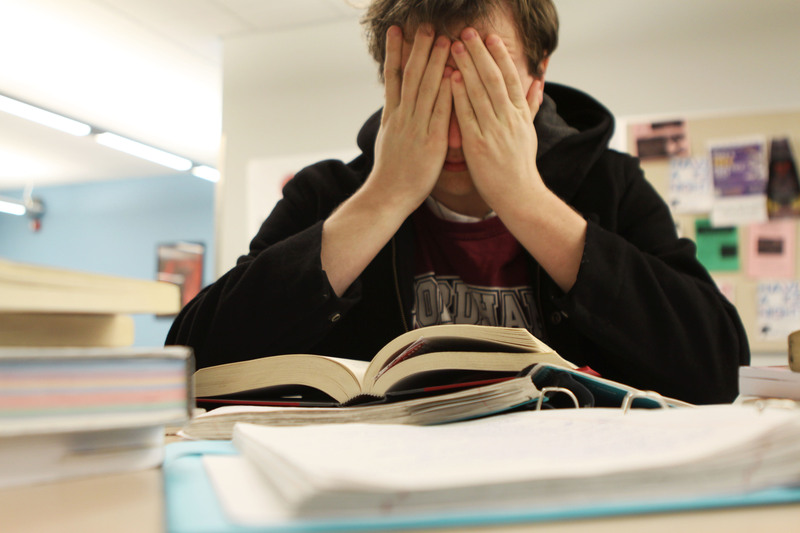 Being stressed however could result negatively affect you for your exam. Here are a few things that can help you on de-stressing during examinations. Take your mind off things when you are not working. There are plenty of Intrusion available for learners of this generation, from books to game, television shows to films, playing sports and so on. So more concentration is important and required to sustain longer periods of concentration. Your mind needs to be relaxed in order to absorb and retain greater volumes of information. If you can create and continue a strict schedule, you will feel confidence and in greater control of your preparations for your examinations. By maintain a smooth routine and knocking down portions of your work load on a daily basis, you will feel more confident as the days progress in your preparations. Keep track of your progress in terms of topic, chapters of each subject completed and examination appeared. Using flow charts, diagrams, markers and even post-it notes can assist you in this activity. So that you can visually Quantify your progress in exams. Always treat yourself with something you enjoy after each study session. Make time for personal time. Doing an activity that you enjoy will improve your mood and will help you return to your studies feeling refreshed and relaxed. It will support you and motivate you to sustain working day in and day out. Make sure that you are getting good amount of sleep. An exhaust mind is an unhelpful mind. It will require more energy and attention to absorb information. Get plenty of sleep and try to make your sleeping patterns as regular as possible. Nothing can substitute hard work and preparation, so put in your due diligence and put away your examination worries.